When you think of your dream engagement ring, what words come to mind? 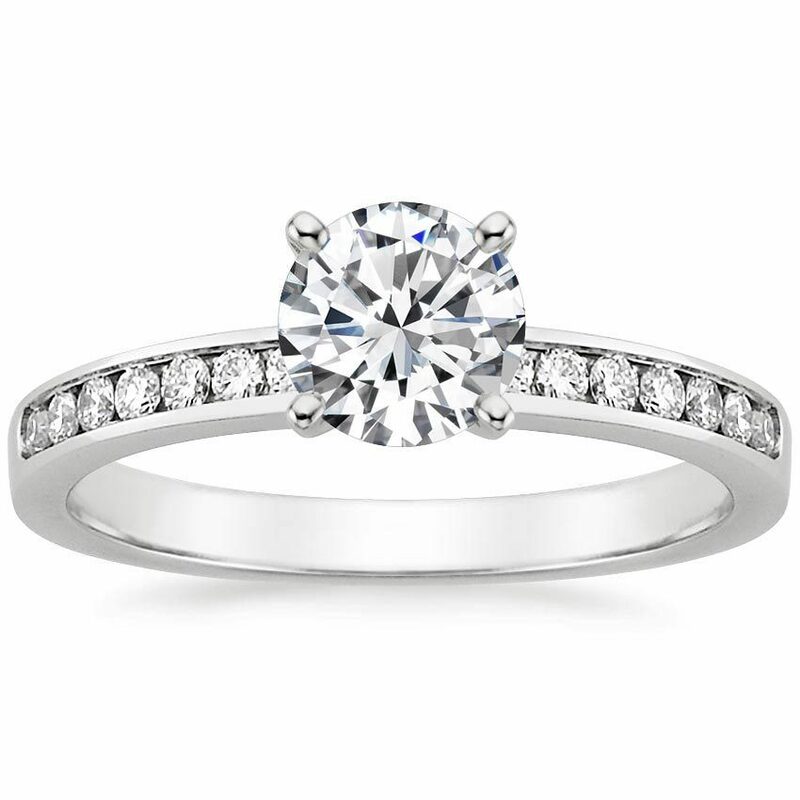 If those words are “classic” and “sophisticated,” you might want to consider a channel set engagement ring. This style is utterly timeless and never fails to please. 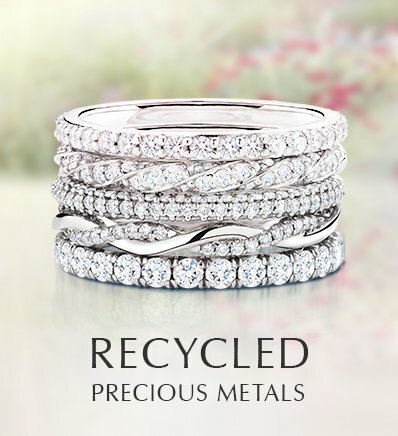 These stunning rings feature sparkling diamonds set in a channel between two bands of precious metal. 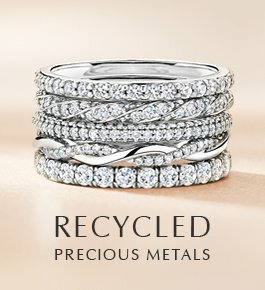 Channel set engagement rings are surprisingly versatile, and can be personalized to come in a range of different looks. For example, you can change the shape or color of the center or accent gemstones, or you can add them to a distinctive setting. 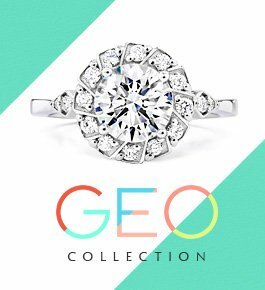 What all channel set engagement rings have in common, however, is a classic beauty that brings out the fire and brilliance of the center gem. What Does Channel Set Mean? You have a number of options when it comes to selecting your perfect channel set engagement ring. Many channel set rings consist of a simple band of precious metal with round brilliant diamonds filling the channel. Smaller accent diamonds offer a classic look, while a channel set engagement ring with larger accent diamonds is ideal for a more glamorous style. 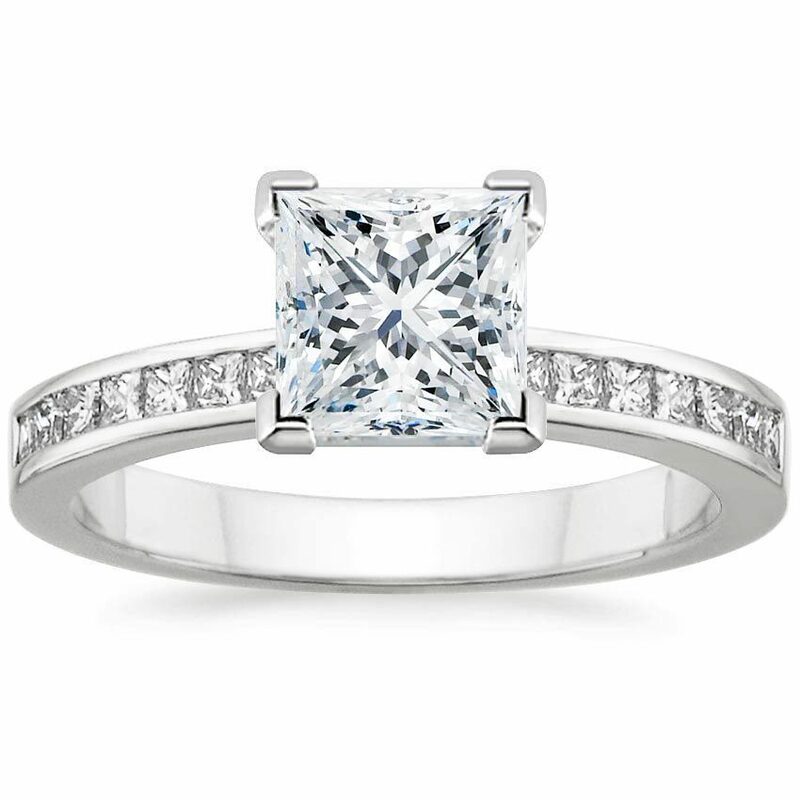 If you love the channel set look but you want a seamless, diamond-encrusted look, consider choosing princess cut diamond accents instead of traditional rounds. With these gorgeous square gems, you don’t have the typical gaps between the stones, making this a very popular option. This style looks stunning next to a princess cut engagement ring. 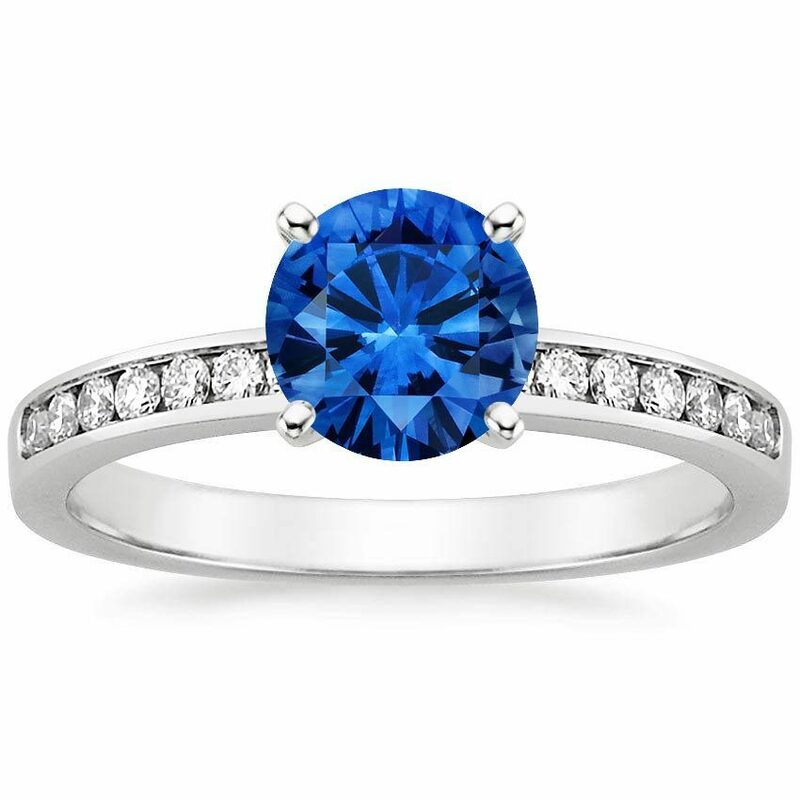 If you want a channel set engagement ring that has a pop of color, consider integrating sapphires or other colored gemstones into your ring, either as a center gemstone or as channel set accents. You can choose your preferred center gemstone and have it set in any of our channel set rings, or you can work with one of Brilliant Earth’s custom design experts to make your vision come to life. 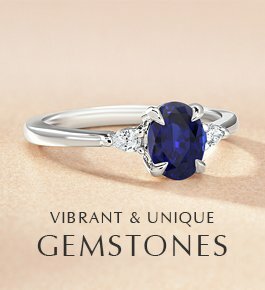 Our team has helped to design thousands of beautiful custom rings, many of which feature colorful channel set stones. 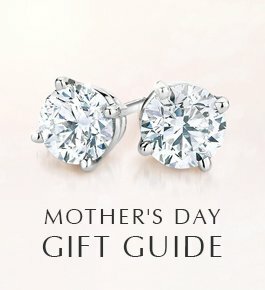 Consider having colored gemstones set into the channel to form a sparkling row of color, or alternate them with diamonds to create a fun, unique look. 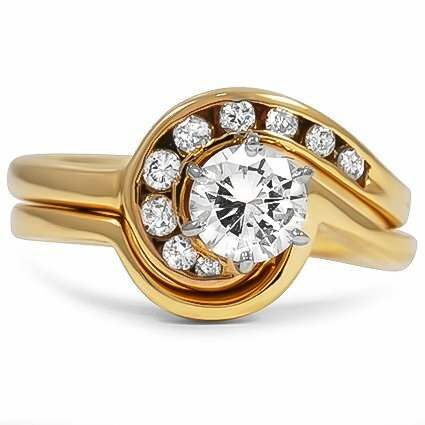 Though channel set engagement rings are the epitome of classic elegance, that doesn’t mean that they all have to conform to straight, simple designs. The channels can curve and coil or they can expand and taper. Brilliant Earth regularly offers antique engagement rings featuring a channel setting, some of them dating from as early as the Georgian Era. We find that in antique rings with a channel setting, both diamond accents and colored gemstone accents are common. Many of these accents are custom cut to perfectly match the shape of the channel. This is usually done in a way that complements other parts of a more intricate design, and often by minimizing the precious metal responsible for holding the gems in place. Differentiating between the channel setting and other diamond accent settings can be difficult. To the untrained eye, many settings look the same. 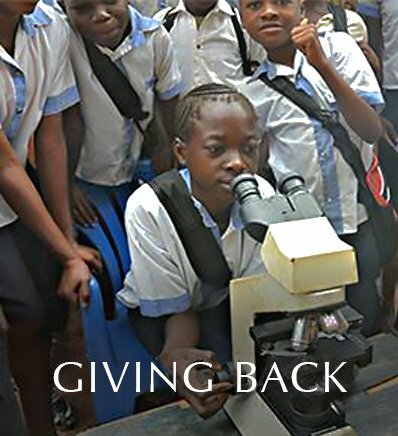 When you look closely, however, you begin to see discernible variations. Take, for example, the pavé setting. Pavé, which literally means “pave,” is a setting in which accent diamonds are set very close together to produce a solid expanse of sparkle. 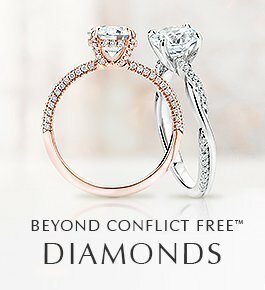 The difference is that in the pavé setting, beads of metal fill the triangular spaces that appear between diamonds in most channel settings. These beads keep the diamonds in place and create the “paved” look. The shared prong setting is easier to tell apart from the channel setting because it lacks the characteristic wide, precious metal borders. In this setting, adjacent accent gemstones share the prongs that keep them in place. 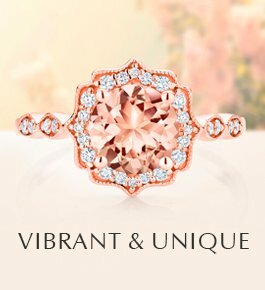 An even more recognizable setting is the bezel setting, in which each stone is completely surrounded by precious metal, with only the crown of the gem showing. When compared with channel set stones, bezel set diamond accents provide a more contemporary look. Less common options are bar set stones and flush set stones. Bar set diamonds are set firmly between small bars of metal, while flush set diamonds are completely embedded in the ring, with only the top of the gem showing. 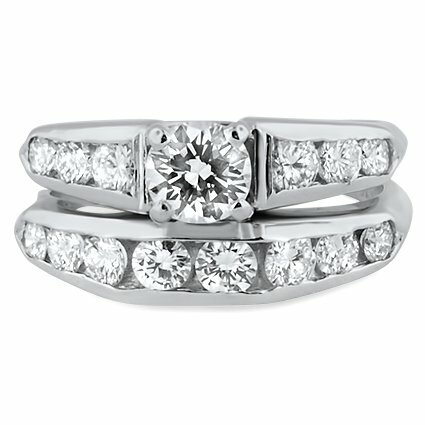 Like the bezel setting, these two options are more modern when compared with classic channel set engagement rings. Channel set engagement rings have a beauty that will endure the ages, and the versatility to please even the most discerning jewelry lover. 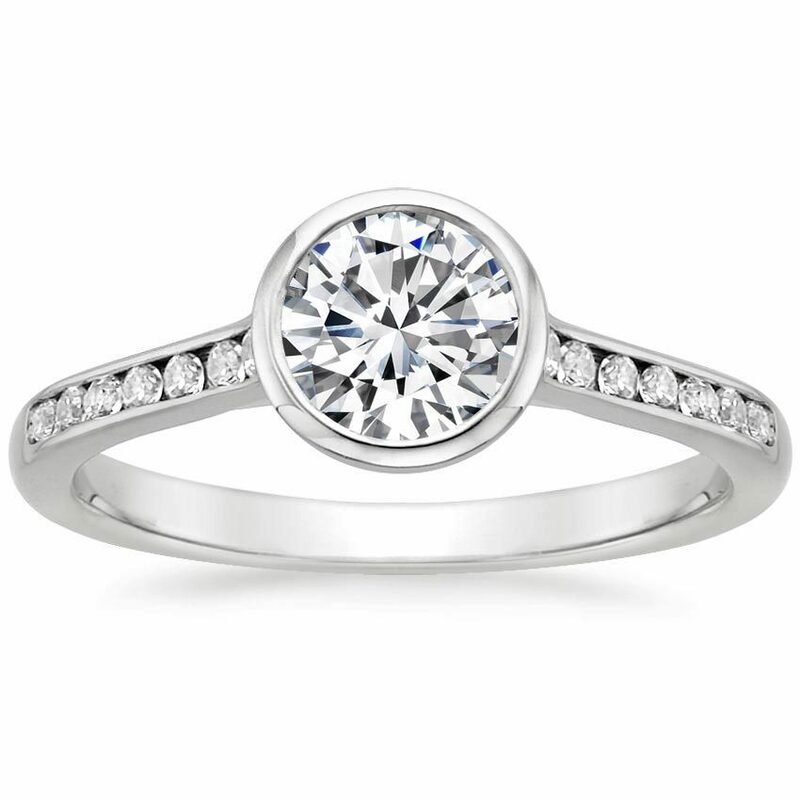 Do you love channel set engagement rings? Would you like to see the channel setting integrated into more of our beautiful styles? Let us know your thoughts in the comments below, or on Facebook, Twitter, or Pinterest!